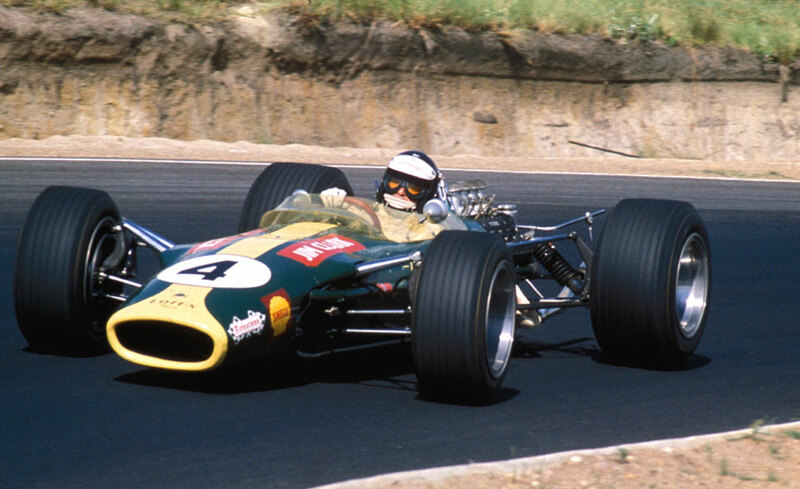 A new season but the same world order as Jim Clark won the New Year's Day South African Grand Prix. Nobody knew it at the time but it was to be his last Formula One grand prix. Three months later he was killed in a Formula Two race at Hockenheim. Ferrari turned up with three cars after missing the 1967 race, while defending champion Denny Hulme was never likely to be competitive as he was still driving the previous year's car with his 1968 model a month away from completion. Thursday practice was low-key as most mechanics and drivers had arrived after three changes of plane and a 14-hour delay, but fortunately this was the one event with three practice days and then a rest day before the Monday race. At Kyalami, which had undergone considerable refurbishment over the previous year, the Lotuses were again untouchable, although all entrants broke the old lap record on the resurfaced track. Clark and Graham Hill qualified fastest and although Jackie Stewart made the best start and briefly led Clark, the Lotus took the lead on the second lap and was never challenged. Ludovicio Scarfiotti retired on the second lap when a pipe on his Cooper burst, spraying him with boiling water. He leapt clear and ripped off his overalls, and was later airlifted to hospital with first-degree burns. Stewart was overhauled by Hill, and the Lotuses were well clear, although Jochen Rindt, making his Brabham debut, did close the gap on second but was never close enough to threaten. A sign of the seriousness of the vaporisation problems caused by the altitude and heat, was shown by Chris Amon, who finished fourth. He was forced to pit for more fuel near the end because his car had used 54 gallons rather than the 30 it would usually consume over a similar distance. This was not only Clark's farewell but it was also a watershed in Formula One as it was the last time cars raced without sponsorship. By the time the roadshow reassembled Lotus had secured a sponsorship deal with Gold Leaf and repainted the cars red and white instead of the green and yellow with which they were identified.